Li Shizhen (1518–1593) was a famous medical scholar who has sort of the same stature as Leonardo da Vinci in the West. He was born in Hubei in 1518 at a time of relative prosperity in the middle of the Ming era. He is mainly known for laboring for most of his life on medical treatises and for publishing a very long encyclopedia of natural medicine called the Bencao Gangmu (本草纲目, lit. 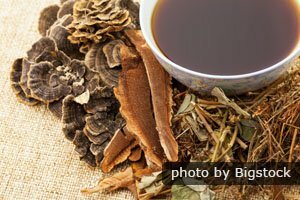 : Herbal Essential Details). This long text is usually called Materia Medica in English. The text is highly detailed and organized, and it is the product of decades of study of rare books and medical texts. He added his own understanding derived from his own medical practice and his family’s medical lore. He went on journeys for research and to interview practioners. Both his father and grandfather were doctors, and he grew up helping his father in his practice. 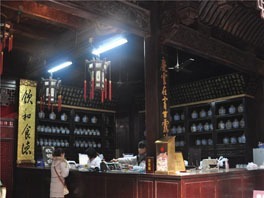 Li&apos;s grandfather was a wondering country doctor who went around with a bag of herbs and medications and healed people. His father was a doctor and a scholar who had written several books. He wanted his son to enter the government by passing the Imperial Examinations. Li studied for the exams and passed the country-level examination, but he was never able to pass the Imperial Examination. When he was 27, he cured the son of a Chu prince and was invited to be a doctor and official in that court. A few years later, he became an official at the Imperial Medical Institute in Beijing. During the year he spent there, he had access to rare and old medical texts. He also saw that the available medical texts had inaccuracies and contradicted each other and that the medical knowledge of his time was not well defined. He wanted to compile correct information in a logical system of organization. He wanted to survey all the available knowledge of his time and write the most accurate natural medical text ever written. He thought that the medical texts that were generally available were inaccurate and even had dangerous misinformation. He is thought of as a man who dedicated his life to write a text to help people. 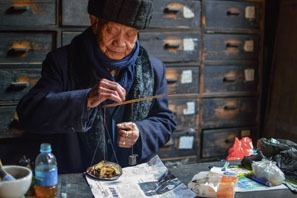 To research for his book, he travelled extensively and gained first-hand experience with many herbs and regional folk remedies, and he consulted hundreds of books. He worked on the text for decades and tried to have it published both by a private printer and by the court. His book was made so finely detailed and listed so many different herbs, medicinal minerals and medicinal animal parts that his book was very long and too big and heavy to be used by travelling doctors. The text was divided into many volumes. In his drive for accuracy and completeness, a lot of the material was not useful for average practitioners, though it is useful for scholarly reference. It includes material on his understanding of geology, physics and other topics. It is also useful because he included a very long list of references. Bencao Ganmu is considered the greatest scientific achievement of the Ming era. Altogether, the writing and publishing of Bencao Ganmu took thirty or forty years. After he died, a poor quality printing was carried out by a private printer. He wanted it printed by the court, but they didn’t publish it. They stored it away. However, an edition with good illustrations was published just before the Manchu invasion in 1644. The work was then recognized as a masterpiece and went though several more printings in the 1600s and 1700s. 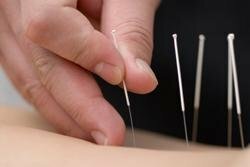 It became the standard natural medicine reference text. Li Shizhen also wrote about eleven other books on medical subjects, but only three survive to the present. One was about pulse diagnosis called Pinghu Maixue. It is also highly regarded. Li Shizhen stands out as a very hard working scholar who tried to help people by writing the best medical books.